“I’ve learned never to rely on reviews for anything,” says Iain Taylor, from East Sussex. In his spare time and to supplement his income, the 44-year-old says he writes fake reviews online in exchange for money and free products. “I have written reviews from numbing creams to eBooks to downloadable independent films,” he says. “I think it’s bad – but I think everyone’s doing it,” says Mr Taylor, describing himself as “cynical”. “Since I started doing it I tell my family and friends not to trust reviews. Another person, a woman who preferred to remain anonymous, writes fake online reviews of the restaurant where she works – a chain pub in Nottingham. “I feel like there’s significant pressure to get positive reviews on either Facebook, Google or TripAdvisor,” she says. “The manager has actually told us to ask customers to do the review in front of us after their meals which I find hilarious. The murky world of fake online reviews hit headlines again on Tuesday, after consumer group Which? claimed that Amazon’s website is flooded with fake five-star reviews for products from unfamiliar brands. Amazon said it was using automated technology to weed out false reviews and that it had invested “significant resources” to protect its review system “because we know customers value the insights and experiences shared by fellow shoppers”. Online reviews are valuable to businesses. The government’s Competition and Markets Authority has estimated that such reviews potentially influence a mammoth £23bn of UK customer spending every year. One company, in Bingley, West Yorkshire, has decided not to use review websites because of the risk of competing with fake reviews. Helena Gerwitz, head of marketing at Feature Radiators, says: “We work in a really niche industry. She believes the volume of the high-rated reviews that some competitors have cannot be legitimate. Ms Gerwitz adds: “We have had chats about it – do we need to go down this route? – but my boss is very much ‘we don’t want to do that’. It’s unethical, it’s not true. “We could set up a review account and know that we would do it legitimately but it would look bad as we wouldn’t pay people to put out reviews, so relative to the other sites we would look terrible. Even verified reviews might not be all they seem. Some consumers fear their personal data might have been used by sellers to gather fake “verified reviews”. Known as “brushing”, the scam sees sellers obtain people’s name and address to send the goods which they did not purchase. On Amazon, this leaves a paper trail showing the goods had been bought on the site and had been delivered. The seller then uses the individual’s details to set up a new account which it uses to post glowing reviews of its products. Amazon says it is “investigating” complaints of “unsolicited packages” which would breach the company’s policy. 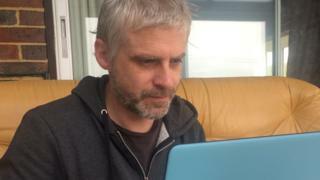 Architect Paul Bailey, from Billericay, in Essex believes he may have been targeted. Last month he received a number of unexpected “gifts”, including a key-ring, a phone case, a tattoo removal kit and a charcoal toothpaste set. “I think when the first parcel arrived it was a case of bemusement, then I checked with my wife if she’d used my account to buy something. A spokesman for Amazon added: “We have confirmed the sellers involved did not receive names or shipping addresses from Amazon. Is posting fake reviews illegal? Trading practices in the UK are covered under the Consumer Protection from Unfair Trading Regulations 2008. Under this legislation, a trader commits an offence if they “engage in a commercial practice which is a misleading action” which cause the average consumer to buy something they would not have otherwise. These actions include “the nature of the sales process” but do not specifically refer to reviews. Trading watchdog, the Competition and Markets Authority (CMA), took its first action against a company for posting fake reviews in 2016. It ordered marketing company Total SEO to remove more than 800 fake reviews which were posted for 86 small businesses on 26 different websites between 2014 and 2015. It warned those who write or arrange fake reviews risk acting unlawfully. Titilope Omitogun, 24, from south London, is another person to have been targeted by online review scammers. One morning last month, she woke up to approximately 50 emails from Amazon saying “thanks for your review”. She had not posted one. The posts, which had been made on a range of items including a telescope and screen protectors, all gave the maximum five-star rating. “They were quite realistic so I think it was a real person doing it and not a robot,” she said. After contacting Amazon, the company told her it believed her account had been hacked. Her password was changed and she has had no such problems since. Nathalie Nahai, the author of Webs of Influence: The Psychology of Online Persuasion, says online reviews work because people try to take an “effortless route” when they have to make decisions. “When it comes to purchasing, especially for items which are easy to buy, we expect this level of convenience and ease,” she says. “Above a certain threshold, people will go for a slightly lower rating,” Ms Nahai explains, citing a study where a product with more reviews but a 4.3 rating was more popular than the same product with fewer reviews and a 4.4. Interestingly, she says there is “a certain leniency we give to bad reviews”. It could also be the order of the reviews that matters. Consumer psychologist Cathrine Jansson says some sellers might be aware of what is known as the primacy and recency effects. These theories state that people tend to remember the first and last items in a series better than those in the middle. “It’s the first five or six reviews that people tend to read and then if they’re really interested they’ll scroll to the last one. There are, however, many reasons why people will also post genuine online reviews, says Nisa Bayindir, director of global insights at market research company GlobalWebIndex. “There are other key motivations at play. For example, we know that consumers buy products and brands that preserve, enhance or extend their self image. “This dynamic comes alive with online reviews. People may leave genuine and positive reviews online to show appreciation and commitment to the brands that are in tune with their personalities and values. She says that brands should focus on “building credibility” but acknowledges that fake reviews may be around for cheaper goods for the foreseeable future.